For all the new students this year, we thought it would be a great opportunity to meet the students from 100 years ago. In 1916, the School ran three sessions during the year; the 52nd session began in October 1916 and ran to December. 7 students attended, made up entirely of men; in previous years women also attended the course. The number of students was significantly reduced compared to previous years (71 for the Oct 1913 session and 23 for the Oct 1914 session) due to the outbreak of the First World War in August 1914. It is presumed that many potential students joined up rather than attended the School. Additionally, the number of staff members was also reduced as they too joined the army. The School minute books record that in every instance where an employee has been called away in connection with the war that his appointment be kept open and that if he is receiving from the Government less remuneration than that paid by the School, the difference would be made up. At this time the School was part of the Seaman’s Hospital Society and was based in the Albert Docks in the East End, along with the Hospital for Tropical Diseases. This was so students had access to seamen suffering from tropical diseases who had arrived back from overseas on their boats which docked in the Thames. 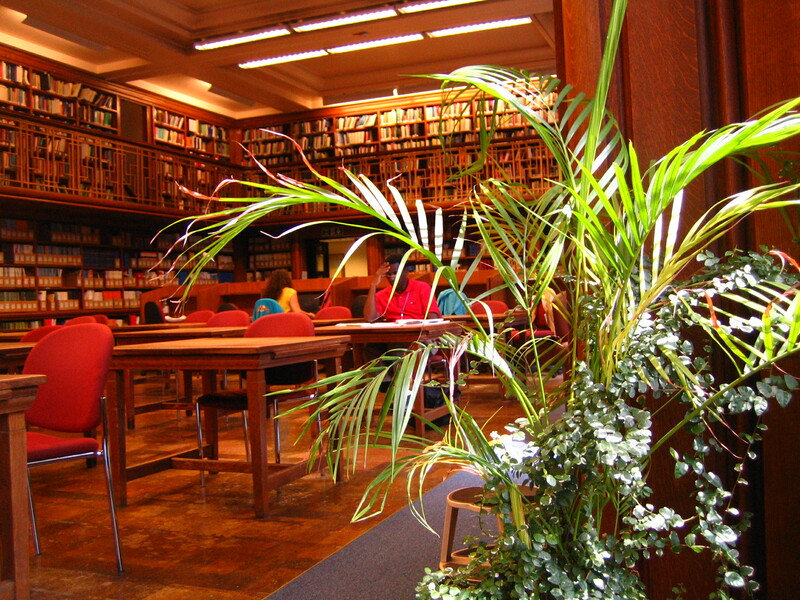 The school offered facilities for study and research, including laboratories and insectaries that provided students with the opportunities to develop and share their knowledge. There was also an emphasis that students would not only learn how to identify and treat tropical disease but would also gain the skills to investigate illnesses. The group photo above shows the students along with members of staff including H B Newham, the Director and Superintendent (front row, third from the left). 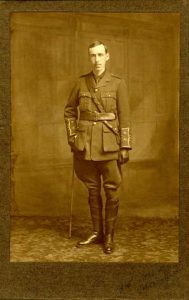 He attended the School in 1906 as a student; then became a demonstrator until he became Director in 1910. 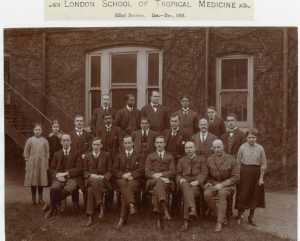 Colonel Alcock (front row, second from left) was appointed as head of a new medical entomology department in 1907, in 1915 he was called up to serve for hospitals for Indian troops in England. Reginald Cockin (middle row, far left) was appointed Lieutenant in the Royal Army Medical Corps in 1915. 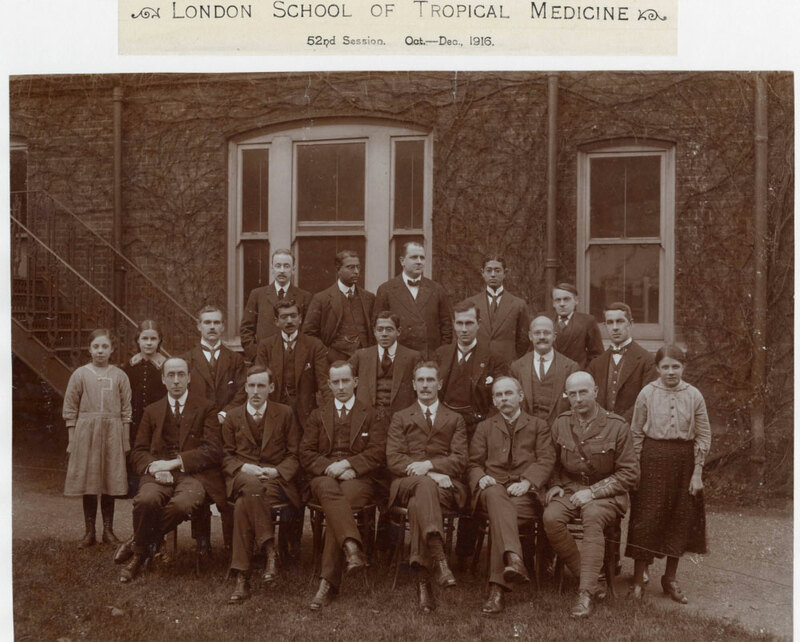 R T Leiper (front row, second from the left), helminthologist, had returned from Egypt where he had served as Lt. Col., R.A.M.C., leading the Bilharzia Mission, along with protozoologist, J.G Thomson, who is absent from the photo. Leiper returned having discovered the existence of two human species of schistosoma and devised methods to prevent schistosomiasis in troops in Egypt. 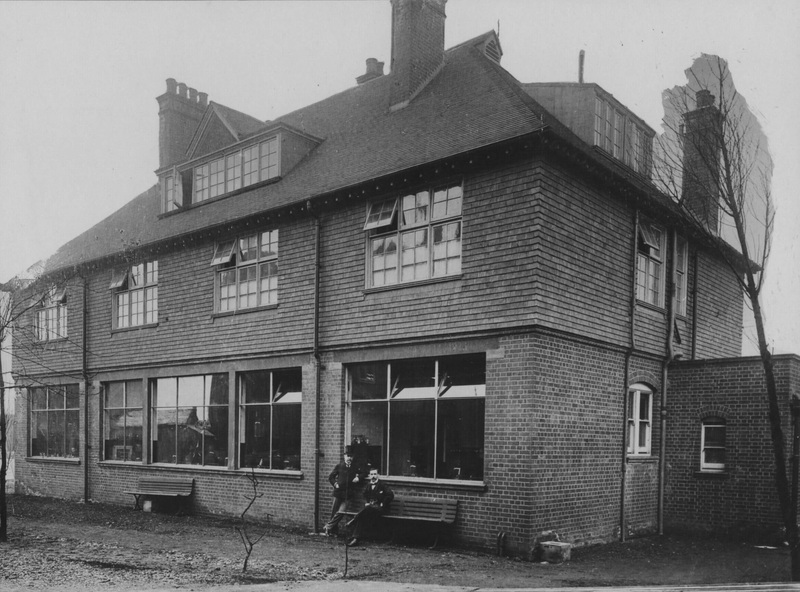 J.G Thomson worked in Alexandria with Sir Ronald Ross, discoverer of the malaria vector. You will also notice in the photograph, three young girls. These are Maud, Louise and Emma, female laboratory assistants. These were employed for the first time in December 1915, Prior to this, the position of laboratory assistants was given to men, however due to conscription during the First World War the number of men available to work dropped dramatically, hence this encouraged employers, to employ women. On leaving the School, the majority of students travelled overseas, their destinations are listed in the School register and are as follows: India 2; Ceylon 2: Japan 1; West Indies 1 and with two students destination unknown.